All University Of Lagos (UNILAG) newly admitted Direct Entry and UTME (Supplementary) candidates are requested to report for registration from Monday, 26th November, 2018 to Friday, 14th December, 2018 by 8:30 a.m as scheduled below. 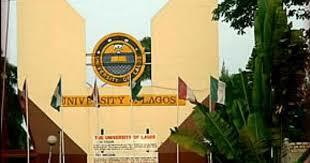 Login to the Unilag Students Portal (www.unilag.edu.ng –> students –> student login). Username is your Jamb Registration Number. Password is your Surname in lower case. Fill the biodata form, print the Screening Form. A. Proceed to the Faculty for registration as scheduled. 4. O’Level Result Certificate (WAEC/NECO) OR Statement of Result with an online version of the result. Proceed to the Faculty & Departments for further registration processes. The University has zero tolerance for drug use; hence a compulsory test shall be conducted for all newly admitted students before or after registration. The admission of newly admitted students that test POSITIVE TO DRUG USE shall be withdrawn.